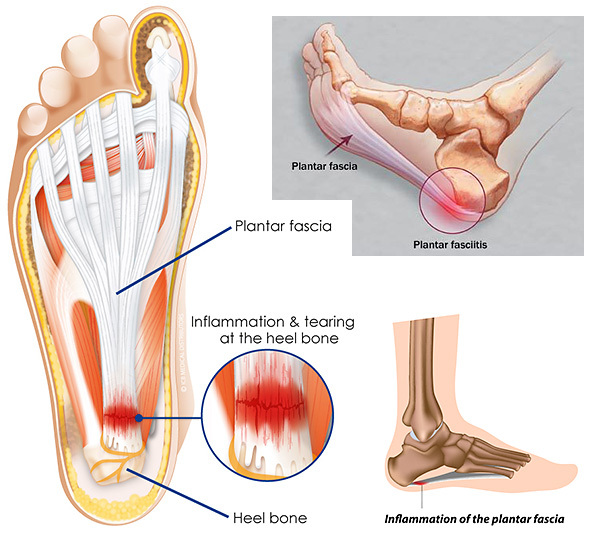 Plantar Fasciitis can cause pretty nasty pain in varied areas of the foot, mainly the side, the forefoot and the heel. The pain is normally at its worst when getting out of the bed in the morning and making the first few steps of your day, this is due to the foot being at its least mobile. There are varied reasons for inflammation of the plantar band of the foot, too much weight bearing, during pregnancy, during marathon or race training, or the reasons can be slightly more complex if we consider how the bones sit and the foot and ankle is structured. 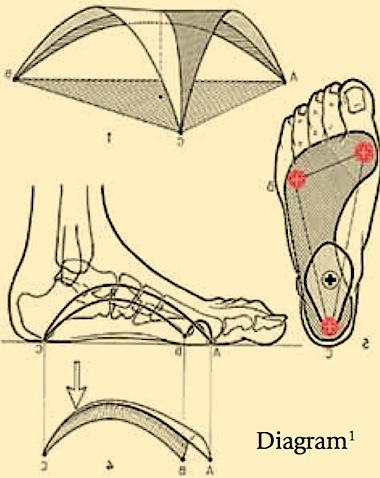 The foot and ankle has varied planes of movement that include; eversion (turning the sole of the foot outwards), inversion (turning sole inward), dorsiflexion (raise the forefoot up from the floor where it is planted), Plantar Flexion (to place the foot back down, to plant the foot), circumduct the ankle, to roughly circle the ankle. Cavus =’s high arch, collapsed arch =’s flat footed. 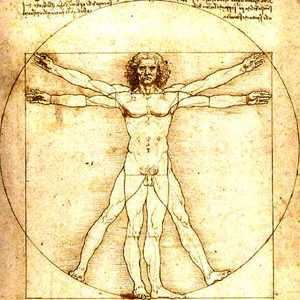 So you have a good idea about what the foot can and cannot do, the different movements of the foot and ankle and how we use them in sports and every day life. Now lets take a look at the further mechanical aspects of the muscle’s and fascia of the foot and their actions. Simply what muscle does what? By explaining this you should have a basic overview for self-treatment and what may be causing your foot to not function as it’s optimum. 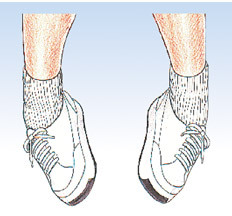 There are of-course other factors that can cause problems with the feet, further blogs will expand on this…. When people arrive at my clinic in pain my role is to firstly help take away or reduce the symptoms safely, professionally, and ideally empower that individual to then go away and self-heal and self-treat if this is their desire. Naturally many people have very busy life’s and they do not have the time or the inclination to become their own little physio, that’s absolutely fine, I treat many people on a regular basis by providing both treatment for relief and ongoing rehab. 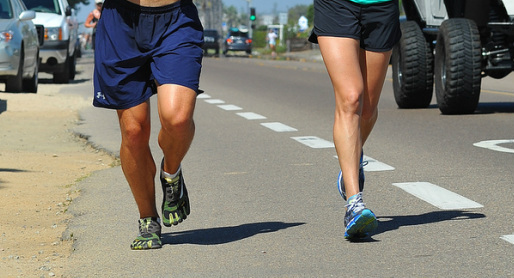 This is very common practice for professional and semi pro runners and athletes. Ok now you have a good grasp of basic anatomy of the foot and it’s planes of movement, let’s now talk about pronation and what muscle causes the foot to pronate, or to over pronate? 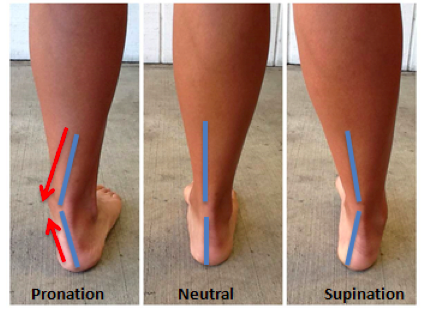 what causes the foot and ankle to over Supinate? 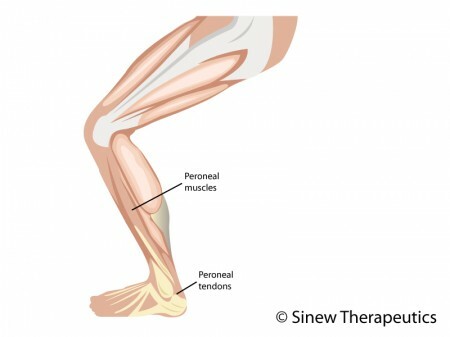 A weakness in the peroneals causing excessive supination, supination is the opposite movement to pronation, lack of strength in the peroneals would most likely be the issue, more complex issues could be over dominant assisting muscles and of-course other neuromuscular issues causing an imbalance. 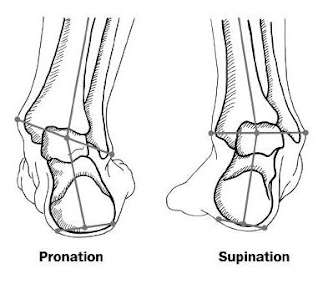 Ok so you now have a good idea about supination and pronation, I am not going to provide more clarity with regards to strong heel strikes, bone spurs and other problems or the blog would gone on forever. 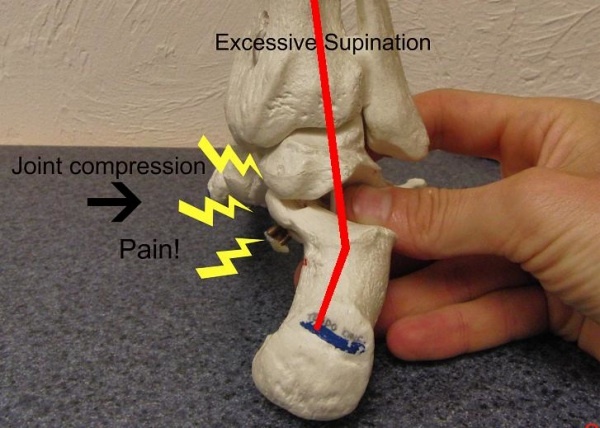 One thing you should consider is that when there is a problem with the arch of the foot and the ankle, there is normally a problem within the IT band as well, most likely then progressing to tracking issues with the knee, eventually moving to the hip, lower back, shoulder and neck. And to stretch the muscle and connective tissue of the lower limb and plantar area of the foot you can consider the attached stretches and exercises. All you need is some Therabands which you can buy at Nick Rivett and Inter Sports in Hove in Church road, you can mention my name and Nick will give you a 10% discount, also you will need a Ball for the foot and a small roller to roll the Peroneal with, once again you can purchase through Nick or buy online at your discretion. Why not experiment a bit, play around etc. You will see what muscle becomes active when you start to manipulate the Theraband. Just be mindful that you do not let the band go as it can hit you in the face. There are several videos online and I will have a rehab channel on my website real soon showing the exact way to treat your Plantar Fasciitis and how to roll out the pressure and energy from the IT Band if you are also suffering from knee pain due to a lateral rotation with the femur. Make sure you use that ball in the glutes as well as the buttocks can heavily influence movement of the legs and ankles and feet. For knee pain and tracking issues make sure you keep the glutes (buttocks) and all of the legs nice and loose or a better term of phrase, light. When the legs are heavy things start to move internally, energy moves bones. 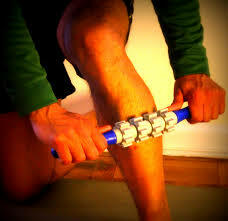 Keep the legs light and mobile, nice and loose and you will help avoid future injury. Prevention is better than reaction. You can book a rehab session with me or maybe a Yoga therapy session which can be bespoke according to your genetic make-up and life style. Contact me directly to discuss Yoga therapy.